The promise is new and novel markets with big revenue streams, and a lot more data mining along the way. As the Internet of Things evolves, it brings along new paradigms. Some are simply reworked, relabeled, or re-branded ideas, concepts, or technologies. But some are new and novel, and will benefit from this ubiquitous, multi-billion device intelligent, uber-interconnected platform. Some of the things the IoT will drive include semiconductors, big data and crowd sourcing. There are others of course, but these three are garnering a lot of attention currently. Semiconductors will flourish because, by the year 2020, every one of the 50 billion (conservative estimate) to 200 billion (liberal estimate) devices within the IoT will need command and control, as well as multi-technology interconnect. There will be simple ones for toothbrushes, which will tell you that your current brush is no longer effective, or others to remind you that you will run out of toothpaste by the weekend at current usage levels. Complex ones will interface your smart vehicle to your life. And there will superchips that will be part of our national security. Today’s IoT chips solutions have broached the $2 floor. These are black boxes that provide the I/O, control and feedback to the network and are complete with a micro-controller, connectivity, and power source of one type or another. 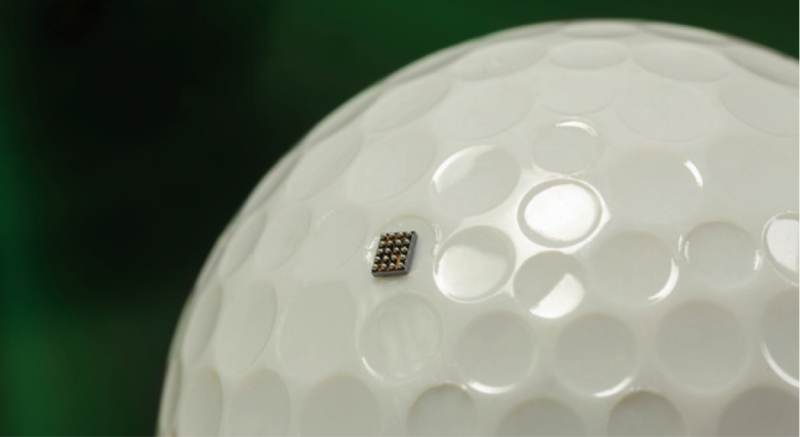 Footprints of these devices, such as the Kinetis KL02 from Freescale, measure in at under two square mm (see photo above). Such devices will make IoT nodes what are now being called “dust” sized. The Freescale Kinetis KL02 chip. These types of solutions can be used in anything from Bluetooth low-energy (BLE) to M2M modules, to Wi-Fi and ZigBee chipsets. And once they shatter the $1.00 floor, there will be little to keep IoT devices from becoming ubiquitous. One of the backbones—and revenue drivers—for the IoT explosion will be big data. Big data, as noted by Ronald L. Wasserstein, executive director of the American Statistical Association, is “undoubtedly the greatest challenge and opportunity facing the future of statistical sciences.” Our newfound capability to vacuum up every last microscopic bit of data from just about any dust-laden data base, in any cobweb-ridden basement or warehouse is impressive. However, we really don’t have much of an idea of how to apply big data analytics quite yet. Big data analytics have the potential to revolutionize the statistical sciences by applying a different methodology to what is today overwhelming complex. Take the human genome, for example. A single human genome contains more than 3 billion base pairs. And so far, more than 200 terabytes of genome data has been collected by the 1000 Genomes project. (www.1000genomes.org). Existing data analysis methods make parsing this and cross tabulating to obtain statistically meaningful data rather painful. It takes a long time and a lot of scrutinization. Plus, there are so many sets of data that often much of the data is difficult to compartmentalize. Big data statistical approaches rework some of the formulas in such a way as to make some sense out of what often seems like thousands of irrelevant parameters. This means that the proverbial “needle in a haystack” has a much better chance of being located. There are many more instances where big data analytics will prove to be enormously beneficial for both the IoT and humanity in general. One of the more interesting developments to be integrated into the IoT and big data is crowd sourcing. Essentially, crowd sourcing analyzes how knowledge within the crowd is and can be used to make things happen. It’s not that this idea hasn’t been around for a long time. Companies have used the alpha and beta test models to solicit feedback for many years. The difference in the two models is that crowd sourcing isn’t a tightly qualified control group or test platform necessarily. It is simply a, more or less, stratified, generic “crowd” of people who supply input from all avenues. Crowd sourcing exemplifies what is commonly referenced as the “long tail.” This is a rather unique methodology of collecting data, under the thesis that each member of the crowd adds a rather insignificant contribution to the total outcome. However, when the grand total is tallied, there is a high probability that all the contributions, collectively, amount to a considerable knowledge base. This methodology seems to be very useful in mining ideas from lay persons, but it can product large amounts of data, which can require a lot of resources to come up with meaningful results. There are a myriad of ways to implement this. For example, Procter & Gamble is constantly being hit with problems that develop around the company’s prolific line of products. Even though it has a cadre of more than 9,000 scientists, there still are more challenges than this group can work on efficiently. What P&G has done is to create a Web site called InnoCentive, which poses these problems to aspiring “backyard scientists” who want to take a crack at them. If someone manages to solve one of the problems, they are given a large cash reward. Harley Davidson, meanwhile, created a crowdsourced “virtual creative department.” It was made up of more than 3,000 participants worldwide with a goal to create a market overview out of the ideas of thousands of participants, as well as guide the marketing model for the brand. When it comes to cyber security, the crowd is a phenomenal and diverse asset. Security architects have a global community or “crowd” of analysts, both expert and amateur, who provide a wealth of real-time feedback. This is especially critical for “zero-day/hour” malware that must be contained as soon as possible. Another segments where we are likely to see the application of crowd sourcing is the connected car. IoT-connected vehicles will be able to share real-time commute information such as roadway loading, accidents, travel time, weather and much more. With the proliferation of social media platforms, interconnected with smart devices, the applications and implementations of crowdsourcing could be virtually limitless. Lastly, there is now a component called “if this, then that” (IFTTT). IFTTT is a rather interesting re-spinning of Newton’s Third Law, which say that whatever you do (trigger) will have an action. This becomes interesting when applied to the IoT in general, and crowdsourcing in particular. The typical example given has to do with “channels.” Currently, there are 132 channels, including emails, android devices, Evernote, YouTube, blink, and various others. The concept behind this is that the user can create connections with just a single, simple statement. Each channel has its own “triggers,” “actions,” and “ingredients,” which combine to make personal “recipes.” It is a fascinating concept because the recipes can be shared, and become part of a crowdsourcing data pool. It is interesting how it works, and it is yet to be seen how effective it really will be in crowdsourcing. If the reader is interested in more detail, the site: https://ifttt.com/wtf presents an overview. What has been discussed in this article is just the tip of the iceberg of drivers for the IoT. But some will have more momentum than others. There is little doubt that driving chip cost down to a sweet spot that gets them into virtually every device in existence is on the top of the list. Right now, crowdsourcing and big data are getting a lot of interest. There is so much about the IoT that we really don’t khow yet. As it evolves into the year 2020 model and everyone talks about, it will be interesting to see what value all the drivers, current and future, will have.